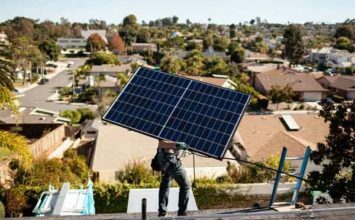 On January 22, the Trump administration imposed a tariff on solar panels. The tariffs are 30 percent in year one, declining to 25 percent in year two, 20 percent in year three and 15 percent in year four. The Trudeau government has asked for a NAFTA review of a Trump administration tariff on solar panel cells, saying the 30-per-cent charge is illegal and unfair. The Liberal government considers the latest trade challenge a part of its broader defense of the international-rules based trading order — something U.S. President Donald Trump is regularly accused of undermining with his “America First” protectionist policies. The request Monday for a review under NAFTA’s chapter 20 provision comes one day after Mexico’s president-elect publicized a letter to Trump, calling for a reboot of the talks towards a new three-way continental trade pact. “Canada is a strong supporter of rules-based international trade and looks to its trade partners to also uphold their international obligations,” the department said in a statement.